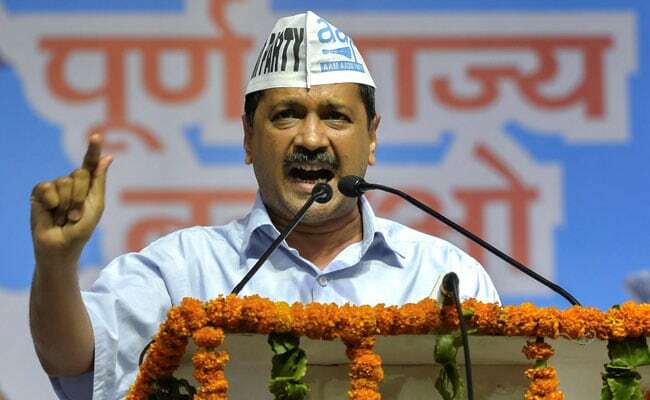 The problem with Arvind Kejriwal is that he has not been able to reconcile to the fact that he is no longer the national leader that he was potentially seen as in the early years of the Aam Aadmi Party (AAP). His second problem emanates from the first problem. It is difficult for Arvind Kejriwal to digest the fact that Rahul Gandhi has emerged like a phoenix from the ashes and now he seems to be the pivot of opposition unity. It is also difficult for Kejriwal to come to terms with the fact that the Congress is reviving itself and AAP is no longer seen as an alternative to the Congress. It is this context which is creating a problem for the alliance between the Congress and AAP in Delhi and surrounding states. In Delhi, an alliance between the two parties is an absolute necessity if these two want to defeat the BJP, as has been espoused by the two top leaders of the parties. Rahul Gandhi and Kejriwal have been emphatically saying that Prime Minister Narendra Modi has to be defeated if India is to be saved. Even as recently as Monday, Kejriwal tweeted on these lines, in response to Rahul Gandhi's tweet. 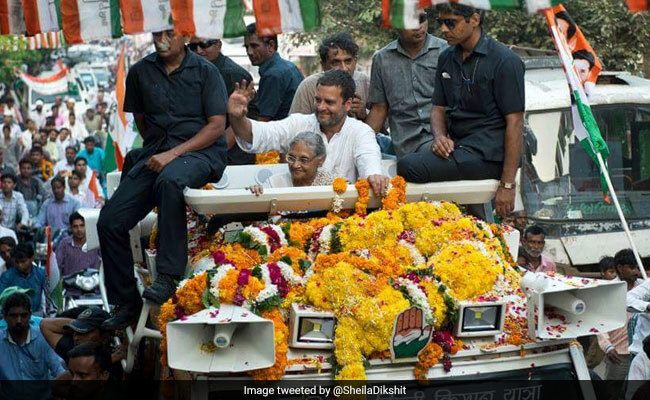 Rahul Gandhi tweeted that the Congress is willing to leave four of Delhi's seven Lok Sabha seats for AAP and if both could agree to the formula then the BJP would be routed in Delhi. But then he mischievously added that it was "Kejriwal's U-Turn" which had stalled efforts to set up a coalition. Rahul Gandhi's statement is not politically prudent and reveals whether he really is interested in a tie-up with Kejriwal. There are two reasons. First, why did he choose social media to express his views? Written words in the public domain have the potential to be misunderstood. Serious politics needs depth handling and one-on-one interaction away from the public glare. Public positioning restricts the possibility of major adjustments and accommodation. As a result, to save his public image, Kejriwal also responded in a way he should not have. That has complicated things even more. Second, Rahul should have avoided mentioning Kejriwal and accusing him of blocking the alliance. It was a foolish move for a leader who is proposing to form an alliance to defeat the BJP and PM Modi in Delhi. I know a bit about Kejriwal. And I can assure you that the tweet was a red rag dangled before him. First he unleashed all his battle-hardened social media warriors who launched a multi-point attack on the Congress and Rahul. Then he jumped in and reacted on Twitter with a vengeance. If Rahul was immature with his tweet, Kejriwal was no better in his reply. Even that was not enough. Two senior most and relatively seasoned leaders of AAP - Delhi state unit convenor Gopal Rai and Rajya Sabha Member Sanjay Singh - were brought in for a second wave attack. I must say that after the initial blunder, the Congress has shown a lot of maturity by not rising to the bait. In my opinion, the 4/3 formula is a good bargain for both. It is respectable for both the parties. AAP does not seem to agree with this, so it is unnecessarily linking it up with a tie-up in Haryana, Chandigarh and Punjab which, in my opinion, is outright stupidity. AAP has two arguments. One, the Congress is non-existent in Delhi. AAP argues the party has neither any legislator nor parliamentarian in Delhi. Factually, AAP is right. The problem is that AAP is still living in the past. The Congress did not win a single seat in the Delhi parliamentary election in 2014 and it scored a duck in the 70-member assembly in the 2015 state elections. But the data of 2014 and 2015 have no relevance in 2019. If the Congress did not get a single MP in 2014, neither did AAP. AAP did win 67 seats out of 70 in the assembly but it forgets that later, during the municipal elections, it could win only 26 per cent of the votes, a steep decline for a party which bagged more than 50 per cent of the votes in the assembly elections. In fact, AAP badly lost the Raja Garden seat vacated by its lawmaker Jarnail Singh, who quit. It had a tough time winning the Bawana by-election. In the civic elections the Congress did show signs of coming back to life in Delhi when it secured 22 per cent votes, only 4 per cent less than the ruling party. So AAP's benchmarking of 2015 is not right. The 2017 civic elections can be the right benchmark, if at all. AAP should also not forget that in Delhi, it is considered a local party without any stakes in a national election. The Congress, on the other hand, can legitimately claim to be a serious player at the all-India level. I have spoken to many people in Delhi; the masses - the "Aam Aadmi" - and the majority said they would prefer AAP in the assembly but for parliamentary elections the Congress or the BJP would be their choice. The blame for this lies squarely on AAP. When it had the option of going national, it preferred to be local. Now it wants to pitch for the national, when local is its best option. AAP's demand for seats in Haryana, Chandigarh and Punjab is not based on logic. The party committed suicide in Punjab and was royally decimated. The party is virtually finished in the state and in every election it has fought after the 2017 assembly polls, it has got votes that can be counted on one hand. AAP literally has no presence in Chandigarh and Haryana. It started its campaign with big fanfare in Haryana two years back but it has failed to cut any ice with the local people. Kejriwal being a son of the soil also was of no help in Haryana. It is better if AAP realises soon that it has missed the bus. It is a local party in Delhi. And if it is serious about stopping Modi, then it should delink Delhi from other states. Its national or regional ambition is over. It very recently contested the Madhya Pradesh, Rajasthan and Chhattisgarh assembly elections but could not get even 1% vote in any of the states. I can understand that it is difficult to reconcile with the past. The past can keep haunting one but it can't be the reason for ruining the present. If AAP contests alone, the BJP will be the only gainer. Rahul and Kejriwal both have forgotten that their fight is with a man who can leave five winning seats in Bihar to the Janata Dal (United) and one winning seat in Maharashtra to the Shiv Sena for the greater goal. PM Modi has the gladiatorial instinct that makes losing unacceptable. Rahul Gandhi and Arvind Kejriwal have to rise above their narrow political interests. Because if Modi comes back, then both the leaders know it will be difficult for them to survive. Especially Kejriwal.